WordPress has officially taken over the internet. Actually, that happened a while ago, but with W3Techs reporting that WordPress is powering 30% of the Internet, there can be no doubt. 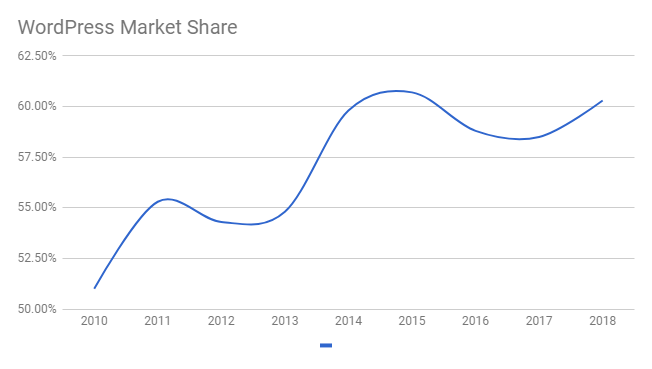 The report goes on to indicate that WordPress owns a whopping 60.3% market share, almost 10 times more than their closest competitor, Joomla, which came in at 3.1% usage and 6.3% market share. And they just keep growing. In November of 2015, VentureBeat reported that WordPress was powering 25% of the web, hitting 30% this month. In order to exclude spam websites, W3Techs only includes the top 10 million websites in their survey, which means that that WordPress went from powering 2.5 million of the internet’s top websites grew to 3 million top websites in just a little over 2 years. And we’re not just talking little bloggers. The list of websites using WordPress is nearly a “Who’s Who” of the internet. World recognized brands like Disney, UNICEF, TIME Magazine, Sony, and BBC America use it. Superstars like Beyonce use it. Even Snoop Dogg uses it. But how did they get here? How such an internet behemoth? Let us give you a fast and furious tour of WordPress history. 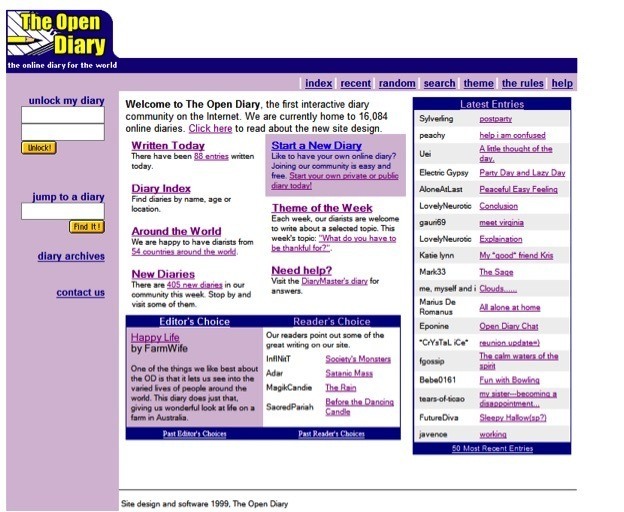 In 1998, Bruce Ableson introduced the world to Open Diary, a website that brought together a community of online journal keepers. In 1999, platforms LiveJournal, Xanga, and Blogger launched. You probably had a LiveJournal or Xanga at one point where you recorded all your deep angst and feelings. We all did. Three years after that, a college student named Matt Mullenweg installed an open source blogging software called “b2” or “cafelog” on his computer. B2/cafelog was in need of an update, but the original creator had abandoned the project. On April 1, 2003, he created his own version of b2 on Sourceforge with help from his friend Mike Little, and another of Matt’s friends, Christine Tremoulet, suggested naming it “WordPress”. b2 had actually, through a series of circumstances, essentially become abandoned. So, I blogged about it, which is what we bloggers do. And a fellow left a comment on my blog and said, “Well, if you’re interested in working on this, let’s work together. The name stuck, and the rest, as they say, is history. 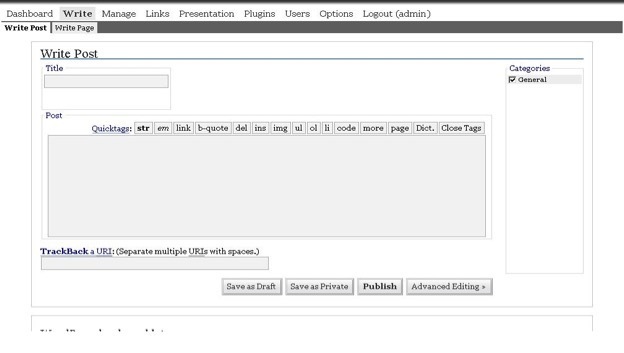 The first official version of WordPress, version 0.7, launched on May 27, 2003. CNET came knocking on Matt’s door in October 2004, looking for help with their own blogs. Matt dropped out of college, moved from Houston to San Francisco, and spent a year working at CNET, which he left in October of 2005. That same month, Matt created Akismet, the WordPress comment spam filter, which remains one of the most popular plugins on WordPress, all these years later. Soon after leaving CNET, Matt founded Automattic, and by December, had released WordPress 2.0. By August of 2006, Automattic was hosting its first annual WordCamp, a volunteer-organized event that put users and developers together to discuss everything under the sun WordPress-related. Today, there are 784 WordCamps in 65 countries. In 2008, the WordPress Theme Directory was launched. This was hugely important. Anyone could create and upload themes, making them available for free to anyone who wanted to use them, once the theme passed a quality test. In June of 2010, WordPress released version 3.0, a truly groundbreaking update. Named Thelonious, after famed jazz musician Thelonious Monk, this update made WordPress a true content management system, as it introduced custom post types which opens the door to all kinds of customization. No longer was WordPress just a collection of posts and pages, now one could create a post specifically for a restaurant, event venue, or retail store. Normally this is where I’d say we’re about to start work on 3.1, but we’re actually not. We’re going to take a release cycle off to focus on all of the things around WordPress. The growth of the community has been breathtaking, including over 10.3 million downloads of version 2.9, but so much of our effort has been focused on the core software it hasn’t left much time for anything else. But things wouldn’t slow down. By 2011, WordPress powered over 12% of the world’s websites, had 22% of all websites using their platform, and had surpassed over 50 million blogs. WordPress isn’t going anywhere. And for good reason. It’s an incredibly powerful open-source software which can do just about anything. And because it’s open-source, it is, in many ways, powered by the community of users. With a rich ecosystem of contributors, devs, and companies, like Pagely the managed WordPress hosting provider, dedicated to WordPress, we can expect the growth to continue. Unless something radically changes (and there’s no indication anything will), we should expect to see WordPress continue to dominate the internet. Lizzie is a content marketer at Pagely living in New York City. Great history lesson! And so true about WP’s growth. In the blogging industry, if you’re not using WordPress, you’re not doing it right. And with the millions of themes, plugins, and customizations available, it’s become a God-send to all types of businesses, not just blogs. 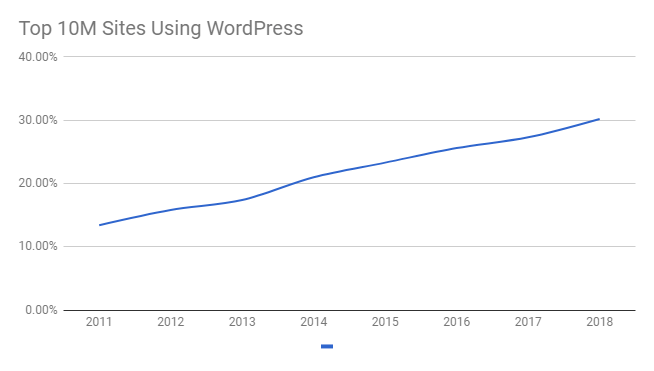 Nice timeline summary of the growth of WordPress. For mention of the pre-wordpress days, thanks for a trip down memory lane. Custom service man, customer service.